The AlphaSphere me allows anyone to be a musician. Through a series of 32 tactile pads any conceivable sound can be mapped around the sphere. 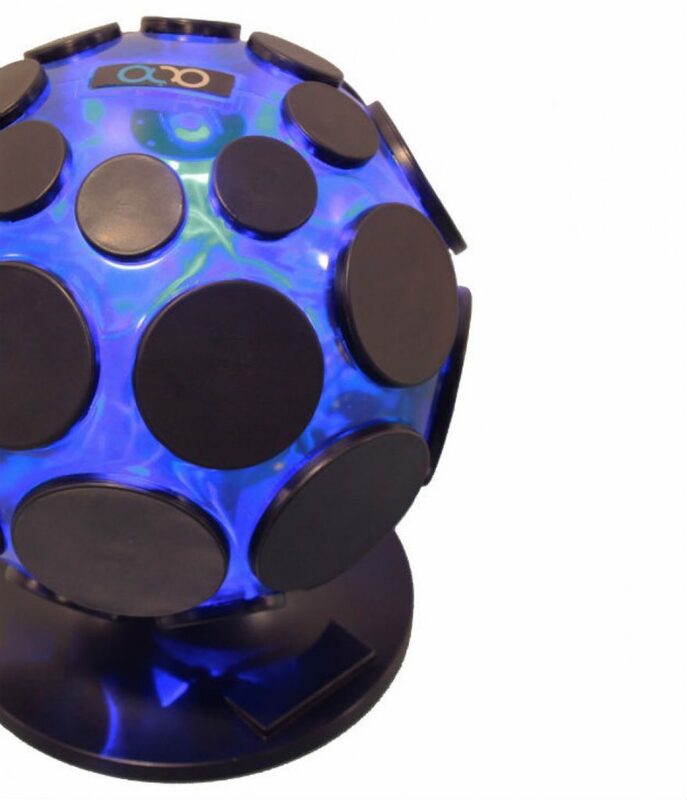 The AlphaSphere me can be mapped to play contemporary or classical music, it can control musical notes, recorded samples or loops; so anything is possible. The device connects to your computer and can be programmed with the bundled software AlphaLive, and by connecting to software such as Garage Band or Ableton. Use the ‘sphere to access your inner musician, without playing a wrong note; use it to unlock musical concepts through an intuitive user interface that teaches you as you go. MIDI Dynamic Channel Mode – allows individual MIDI channels to be dynamically applied to each pressed MIDI pad, allowing for polyphonic pitch-bend as well as completely polyphonic modulation of notes within software that doesn’t support poly after touch.